OLD PARKED CARS. 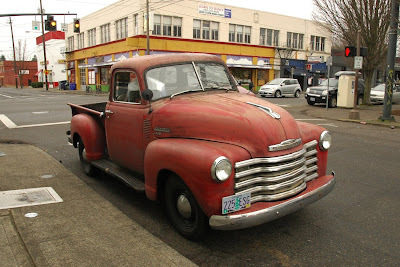 : 1949 Chevrolet 3100. 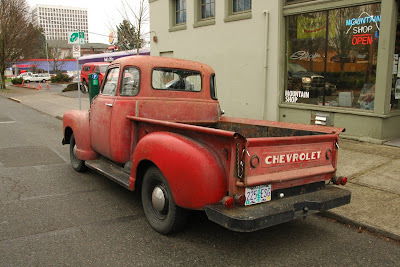 I have an old Tonka Toys version of this truck that I got from my grandfolks; it replicates the details well, curled bed lip, chained tail-gate, even the tired red paint. lovely truck! Don't see too many of them on the road anymore that aren't either show cars or rusted beyond recognition. word to both comments. 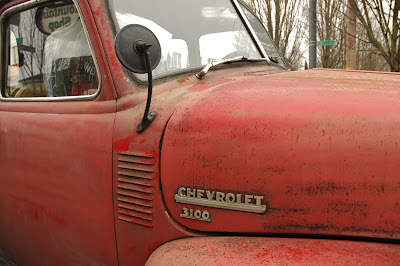 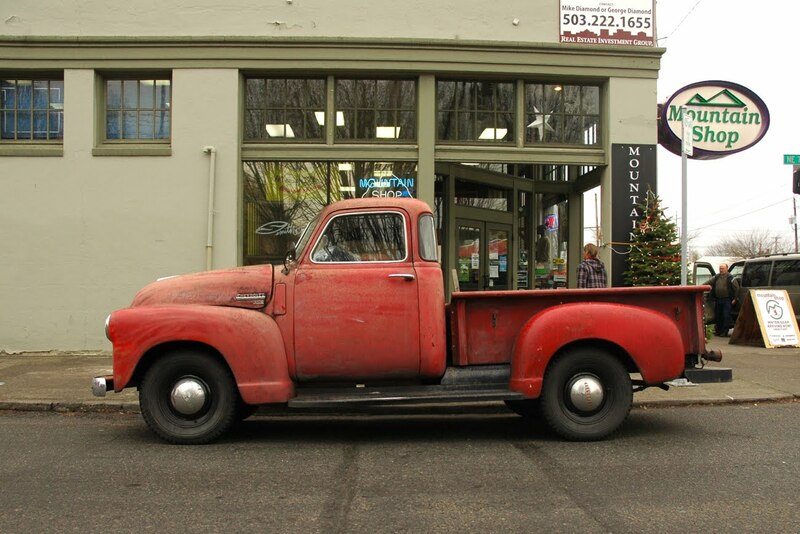 such a treat to see a truck with just the right amount of patina.